From the Pulitzer Prize winning Michael Chabon comes this bestselling novel for readers of all ages that blends fantasy and folklore with that most American coming-of-age ritual: baseball—now in a new edition, with an original introduction by the author. Ethan Feld is having a terrible summer: his father has moved them to Clam Island, Washington, where Ethan has quickly established himself as the least gifted baseball player the island has ever seen. Ethan’s luck begins to change, however, when a mysterious baseball scout named Ringfinger Brown and a seven-hundred-and-sixty-five-year-old werefox enter his life, dragging Ethan into another world called the Summerlands. But this beautiful, winter-less place is facing destruction at the hands of the villainous Coyote, and it has been prophesized that only Ethan can save it. In this cherished modern classic, the New York Times bestselling, Pulitzer Prize winning author brings his masterful storytelling, dexterous plotting, and singularly envisioned characters to a coming-of-age novel for readers of all ages. 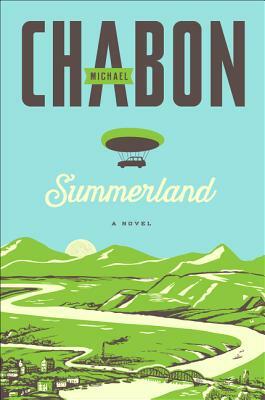 Michael Chabon is the bestselling and Pulitzer Prize-winning author of Moonglow and The Amazing Adventures of Kavalier & Clay, among many others. He lives in Berkeley, California with his wife, the novelist Ayelet Waldman, and their children.